Mobile teller truck with 3 drawers and cupboard is ideal where a movable pedestals are required. 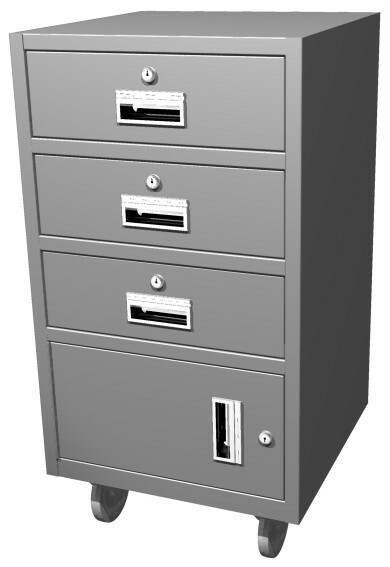 The Model mobile teller unit is 38-1/2 H x 19" W x 19" D. It comes with three drawers and one cupboard. Drawers and cabinet each individually locked. Wt: 155 lbs. Choice of 9 finish colors. IMAGES APPROXIMATE ACTUAL COATING COLORS.